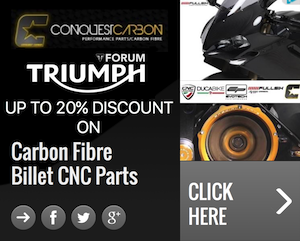 The World's busiest Triumph Forum. Join this amazing group of people and start discussing the thing that we all love, Triumph Motorcycles. Discussion in 'America, Speedmaster & Rocket' started by SethAddington, Sep 11, 2018. Good morning and welcome back. Enjoy your new ride and remember to always ride safe! Welcome back, how’s the elbow doing, it looked pretty gruesome in your earlier post. Good looking bike BTW, hope you have better luck with this one. The garage, unless she allows me into the house? Glad to hear your back in the saddle again mate. Is the insurance pay out for Deb being hit all sorted now? I hope your open plan elbow is on the mend? The Land of the Prince Bishops. MrOrange The Lunatics have definitely taken over !!!! Enjoy the new bike, and watch out for those car driving bstds. Remember it's a big game of tag, just don't let any of them near enough to make you ''IT' . Thank you! I’m happy I found am identical Speedmaster. Love that bike. Definitley not going to name her Deb. The license bureau gave me a plate with the letters DEB, back when I registered her. There was no way to get around everyone referring to her as Deb. So hopefully that doesn’t happen this time around when I register. 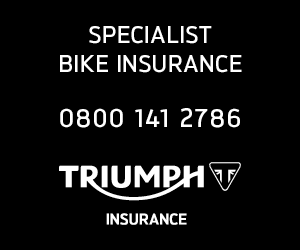 That is a great looking bike, glad you are back on 2 wheels! Hi Seth yes that is a great looking bike. Sure you will enjoy that ! Excellent Seth. Enjoy the ride bud. I just went back in time, and followed your whole story. Glad that you're doing well and that you have a nice (similar) bike back. Thanks! Elbow is pretty much healed up. Stitches out last week. Thanks! Yeah. The other guys insurance covered the bike and my medical. It all worked out pretty well. They didn't screw me on the bike claim. All is well. The new bike is such a smooth ride. Please Delete: Action Camera Suggestions?? Traction Control, Abs, Do You Leave Yours Turned On?